Welcome back to Day 17 of Freedom from Clutter in 40 Days. If you are tired of the burden of clutter in your home then this series is for you. Day by day we are getting rid of the items that weigh us down, slow us down, and get in the way of having time to spend with our families. We invite you to join our special Facebook group to share your ideas, joys, concerns, and declutter stories with us. Together, we are learning to find Freedom from Clutter. This is a focused 40 day program, but we plan to keep the group going all year long. You can join us at any time. What is really fun about this project is that we are sharing our real struggles with clutter. There are no organization experts here. We are just real people sharing our real life experiences including our frustrations and joy as we declutter our homes. Nicole from Family Table Treasures is back today to share her thoughts on preventing clutter. We are all working really hard to reduce the clutter in our homes so that we can enjoy the “freedom” that brings, so how are we going to keep it that way? Since moving out of our house and back in every few months is probably not an option, we better have a plan. Nicole has some great ideas so click over here and read all about it. 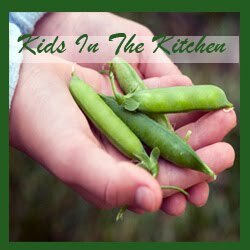 On another note……..if you are interested in simple recipes your family is sure to love make sure you check out my recipe index. 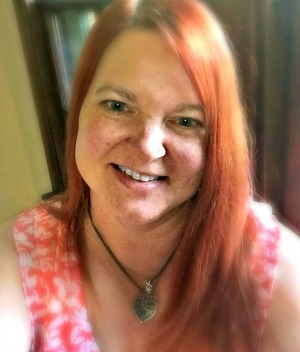 I am adding new recipes all of the time so make sure you check back often. You will also want to grab this free meal-planning printable calendar to make your meal planning easier. It has areas to plan your daily activities and your evening meal prep. Want more decluttering tips, motivation, and advice? 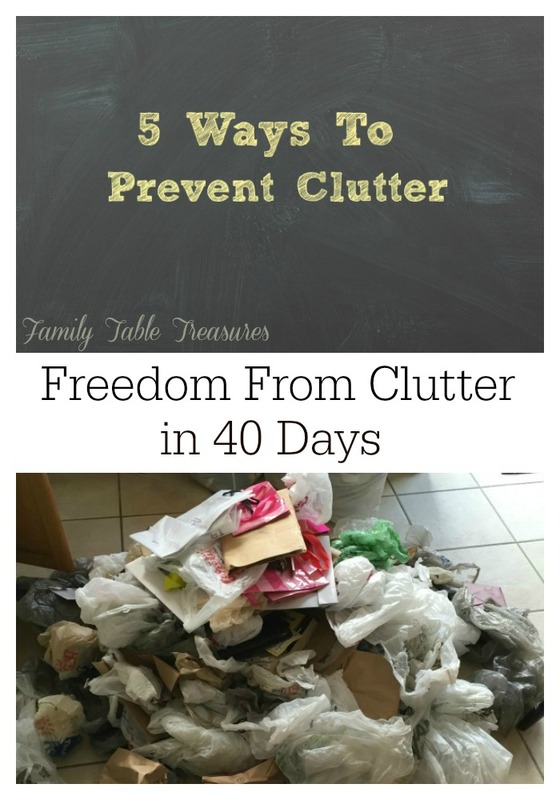 Keep reading the Freedom From Clutter in 40 Days series by clicking the image below.